In this April 12, 2010 file photo, recording artist Janelle Monae poses for a portrait in New York. Sometimes, we here at Rockin’ Out (and by we, I mean the royal we) have enough information to divulge that we’ve got to cram it all into one column while appearing to seamlessly weave one compelling story. Well, I’ve totally blown it on that front — spoiler alert, this article is about Janelle Monae at the University of Maine and Holy Ghost in Bangor — but I will point out the segue later on down in the story, just to show you what a pro I am. It’s an ambitious, wildly creative, science-fiction themed album that combines funk, soul, R&B, hip-hop, indie rock, folk, psychedelia and electronic music into one grand, sweeping statement, with guest spots from Saul Williams, Big Boi of Outkast, and Of Montreal. “The ArchAndroid” was my soundtrack for the summer of 2010 and it still makes frequent appearances a year and a half later. I bought it on vinyl. That’s how much I love it. So seeing that Janelle Monae would be playing a mere 10 miles from my house was quite a surprise — I assumed she’d never play Maine at all, let alone the Bangor area. To those who aren’t familiar with her, let this be my ringing, complete and total endorsement. If you have any love for artists such as James Brown, Outkast, David Bowie or Prince, this is your woman. She’s like all four of the aforementioned combined in one tiny, supremely powerful package. Tickets are $23 and are available at the CCA box office or online at collinscenterforthearts.com. Trust me — it’ll be money well spent. Speaking of money well spent — and of an extremely solid month of shows in the greater Bangor area, and of that segue I mentioned earlier in this article — for another $20 you can go to the biggest Halloween party in the area. I’m talking about the dance party set for the night of Sunday, Oct. 30 at the Shriner’s Building on Main Street in Bangor, featuring New York electro wizards Holy Ghost with guests Eli Escobar and Jessica 6. Bangor-via-NYC blog Soylent Green Is Made of People has put together a night of what promises to be thick grooves and unhinged dancing at a new location in the Queen City that could very well turn out to be a new favorite spot for concerts and other events — the Shriner’s Building is spacious and ripe for transformation, if schedules allow. The show is also all ages, so teenage fans are allowed a rare opportunity to see a show in a club setting. Halloween costumes are heavily encouraged. Holy Ghost are comprised of the duo Nick Millhiser and Alex Frankel. Since 2007, the pair has recorded deeply funky electro-pop in the vein of groups and DJs such as Chromeo, La Roux and Calvin Harris. They’re currently signed to the DFA label — the label owned and operated by Tim Goldsworthy and James Murphy, formerly of LCD Soundsystem. They’ve done remixes for the likes of MGMT, Moby and Cut Copy. Their self-titled album came out in April and it has spawned two dance-floor-friendly singles, including “Do It Again” and “Wait And See.” The final track on the album, “Some Children,” features vocals from none other than Michael McDonald, the ironically cool former singer of “What a Fool Believes.” But, as LeVar Burton on “Reading Rainbow” once said: you don’t have to take my word for it. If those pedigrees don’t sway you, then visit the band’s MySpace page and listen to their music. If you’re the dancing sort, there’s a good chance you’ve found out what you’re doing for your Halloween weekend with one listen. Tickets for Holy Ghost, Eli Escobar and Jessica 6 can be purchased at the door or online at sgimop.com. Doors open at 7:30 p.m., Sunday, Oct. 30, at the Shriner’s Building, 586 Main St., just past Hollywood Slots. 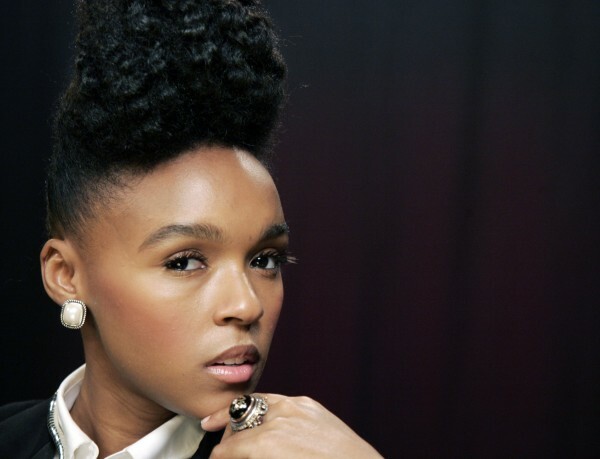 Tickets for Janelle Monae, with opening act Fun, are available at the box office or online at collinscenterforthearts.com. The show starts at 8 p.m.